" YOU ONLY GET ONE CHANCE TO MAKE AN EVERLASTING MEMORY " Hi my name is Dj Richie, I own ToledoDJs.com, and we are a professional mobile DJ company. We believe that your wedding is one of the biggest days of your life, so we decided to specialize in custom weddings, making it easy to create your dream wedding. 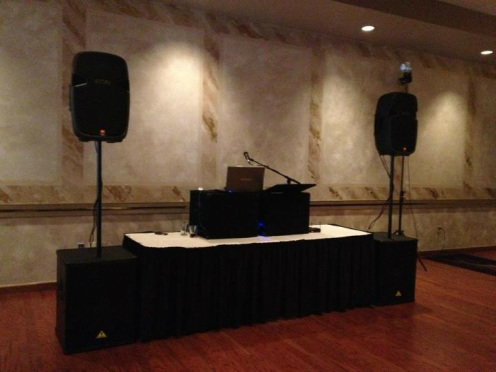 Most Djs tell what they do….We are a little different, because we do what you want us to do…..and that’s the bottom line….It’s your special day, so why should a Dj tell what he’s going to do, we customize to your needs and wants….…we sit down with you and take your ideas and make them reality. Why trust just anyone on your special day, there are so many “ so called “ djs out there that think just because they have some audio equipment, then that makes them a Dj…..well they are wrong…it takes more than that, it takes someone who understands the business, and someone who understands music and entertainment, its more than just playing music, its being able to read a crowd and able to adjust to the needs of the people….We are a member of the Better Business Bureau Serving Northwestern Ohio and Southeastern Michigan, and take pride in giving our clients the very best in entertainment. My team of professional DJ’s can provide hours and hours of entertainment, with over 200,000 song choices and 20,000 karaoke songs and a state of the art LED lighting system we can provide fun music and karaoke for all ages. We also create and customize music; we can remix songs, and make mega mixes for you and your guests. If you have an idea, we most likely can do it....Don’t get me wrong, you can find a really cheap DJ on the internet or in the phonebook, claiming to be the best, but keep in mind that you get what you pay for. We are professionals and specialize in Entertainment, keeping your guests entertained during your event. We only use new top of the line DJ equipment, always kept in cases during transport, so our presentation is professional. We never show up in shorts and tennis shoes, we dress to impress. We specialize in weddings, but also do graduation parties, anniversary parties, birthday parties, corporate events, family reunions, or just a back yard party, no event is too small or too big. You only get one chance to leave an everlasting memory….